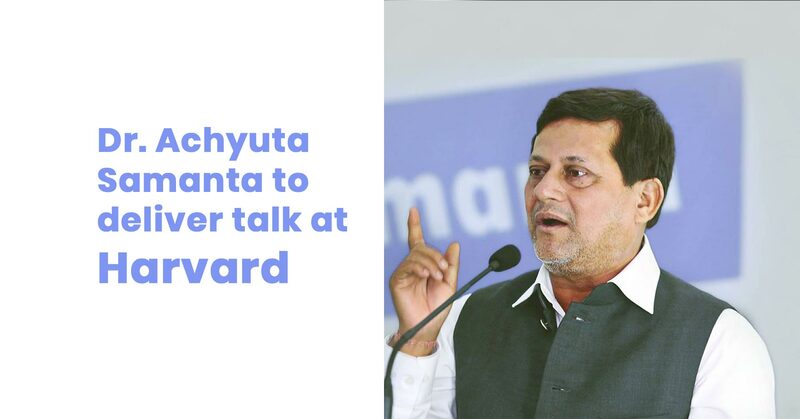 Dr. Achyuta Samanta, Member of Parliament, Rajya Sabha and Founder, KIIT & KISS will be delivering a talk at India Conference 2019, a student-run conference held at Harvard Business School & Harvard Kennedy School, USA on February 15, 2019. The theme of his talk will be ‘India at an inflection point’. He will share his experiences of struggle and growth in Odisha, as India treaded the direction towards a significant position in the global village. The conference is one of the largest student run conferences in USA, bringing together India’s thought leaders for discussions and brainstorming sessions to unravel the interesting times that lay ahead of Shining India. The Conference will have an eclectic mix of politicians, business leaders, entertainment intellectuals, spiritual leaders, philanthropists, government officials, educationists and discuss key issues and India’s path towards global leadership. In the 16th edition of the conference, other co-speakers with Prof. Samanta are Sadhguru, Barkha Dutt, Aruna Roy, Tanushree Dutta, Asaduddin Owaisi, Pinky Anand and many more. He is one of the first Odias to deliver the talk.